For anyone reading this who lives in a region beset by actual wintertime, I ask your forgiveness. 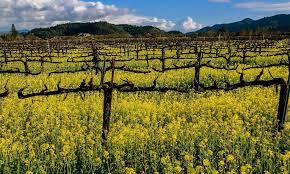 Here in Napa Valley, we can tell it’s winter because the vines are bare and the wild mustard is blooming in a riot of chrome yellow between the rows. Another sign of winter here is that the lemon and orange trees are groaning with fruit. We don’t have big citrus orchards in the valley because it’s allegedly too cold, or at least it used to be back when the climate was behaving itself and there were more hard frosts and a few dustings of snow on the valley floor every year. 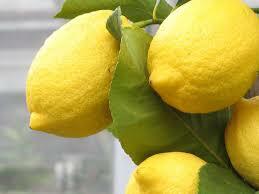 Yet in people’s yards, lemon and orange and even grapefruit trees flourish. How nice of Mother Nature to supply all that Vitamin C-laden deliciousness just when cold and flu season are at their peak. My husband and I have no room for a full-size citrus tree on our property, but we do have two adorable dwarf Meyer lemon trees in big turquoise pots on either side of our front door. This year their combined output was modest, even for them. Given that they are still very young and have been assaulted with a ghastly amount of smoke and pollution for several weeks running during the past two wildfire seasons, I’m grateful they were able to produce anything at all. 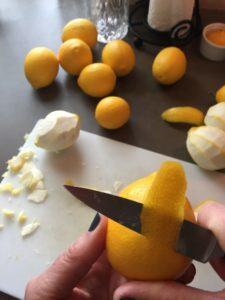 I wasn’t even aware of Meyer lemons until they became a thing, perhaps twenty years ago. Until then, as far as I knew there were just lemons. The ones you bought at the grocery store had uniform, fairly thin rinds but tasted pretty much identical to the thick-skinned, wartier-looking ones that grew on neighborhood trees. 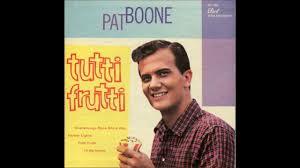 When I was introduced to Meyers, it was like switching from rock ‘n roll to smooth jazz (or as one food writer in the L.A. Times put it back then, Meyer lemons were Pat Boone while regular lemons were Little Richard). Nowadays, Meyer lemons are hardly a rarity, especially right now in California. Even my tiny harvest yielded more than I was likely to use for sprucing up my soda water or seasoning grilled fish, and since they all came ripe at once, I was faced with a wee surplus. It turned out that I had exactly the right amount to make a batch each of limoncello and lemon curd. Find a large jar or crock with a tight-fitting lid. You need something big enough to hold two 750 ml bottles of vodka, so a 64-oz mason jar (or something a bit smaller) will work fine. Go get your neutral spirits. 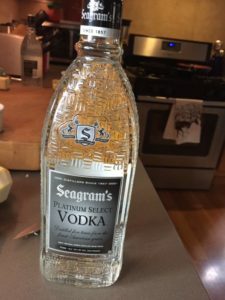 The very best to use in my opinion is Everclear, a grain alcohol that comes in 151 proof or 190 proof. The 151 proof is plenty fierce, and it’s hard enough to find as it is. For this batch, I was going to have to drive at least an hour to find a store that carried it. But I did locate some Seagram’s 100 proof vodka at our local gourmet grocery, and that also does an excellent job. 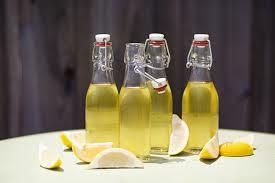 If you use regular 80-proof vodka, you’ll still wind up with limoncello, but the higher the alcohol content, the more complete the extraction from the lemon zest and therefore the more intense the flavor. Don’t worry; you’ll be diluting the firewater later on. You will need two 750ml bottles or the equivalent. Take ten to twelve medium-sized lemons (Meyer preferably) and remove the zest in large strips. You can use a vegetable peeler for this step but I prefer a very sharp paring knife as it gives me better control. 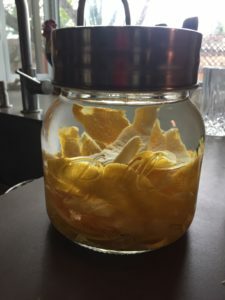 Once I’ve got the strips, I use the knife blade to scrap off as much of the pith as I can from the inside of the zest, so the infusion doesn’t take on any pithy bitterness. Save the zest from 2 of the lemons for your curd, if you wish. Place the rest of the zest strips in the jar or crock and pour in the vodka or Everclear. Cover the jar with a lid, and place it in a cool, dark place. I cover my jar with towel to keep out sunlight while the mixture infuses. Be patient. Let the spirits steep for at least five days, and up to a month. No need for a rush order on those bottles. Once you’ve extracted all the lemony goodness from the zest, make some simple syrup using 4 cups of water and 3 cups of sugar. Put the water and sugar in a saucepan and heat, stirring to help the sugar dissolve. Bring it to a simmer for 4 to 6 minutes, then take it off the heat and let it cool. Strain the liquor into a pitcher and add the syrup. Decant into bottles. Add cute labels if you’ve made them, or write on the bottles with one of those fun metallic pens. Officially, you can refrigerate this stuff for up to a month, but it’s got enough sugar and alcohol in it to defeat pretty much any germs it might encounter. It lasts practically forever. I keep mine in the freezer, because the colder it is, the better it tastes. Remove from heat and cool at room temperature for an hour. I put a piece of plastic wrap over it (so a film doesn’t form on top). Transfer to sterilized jars. These can be stored in the fridge for up to 3 weeks (in my experience, it lasts even longer, if you can restrain yourself from devouring it immediately). 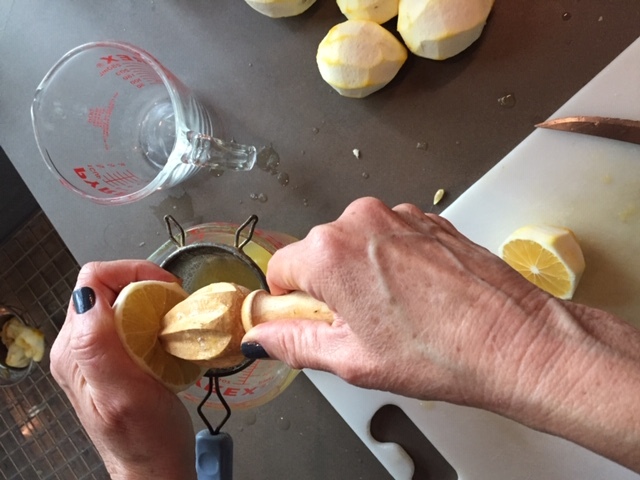 If life is handing you lemons — literal or metaphorical — it’s delightful therapy to spend an afternoon preparing an elixir for your future enjoyment along with a dessert-worthy spread you can taste right away. I notice a few baby lemons still ripening on one of my trees. Enough for at least one big lemon meringue pie, in a month or two. Life is good. What do you do with the lemons in your life, whether actual or symbolic? Thank you for this, Jan! 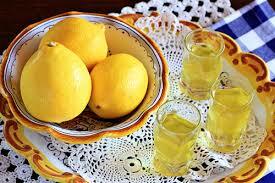 Hubby and I had limoncello in Italy when we were there this fall. We loved it! How could we have lived for 60+ years without ever tasting it? Meyer lemons are not too plentiful in PA, but I can find regular lemons, and maybe I will have more luck finding Meyer lemons in Florida when we visit next week. This post reminds me of my mom. She used to have a potted lime tree that produced limes occasionally. When she would get enough limes, we would make margaritas! My poor kids had to transport the huge tree indoors in the fall and outdoors in the spring, even though they were too young to have margaritas! 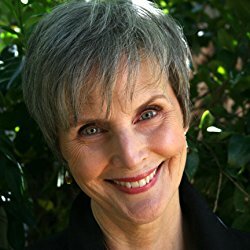 Thanks for these recipes, Jan! I’ve seen limoncello recipes around, but have never tried making it. 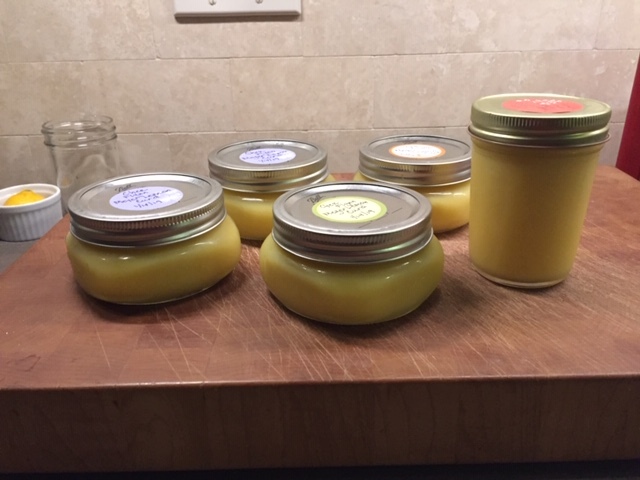 The lemon curd looks tasty too!